New! 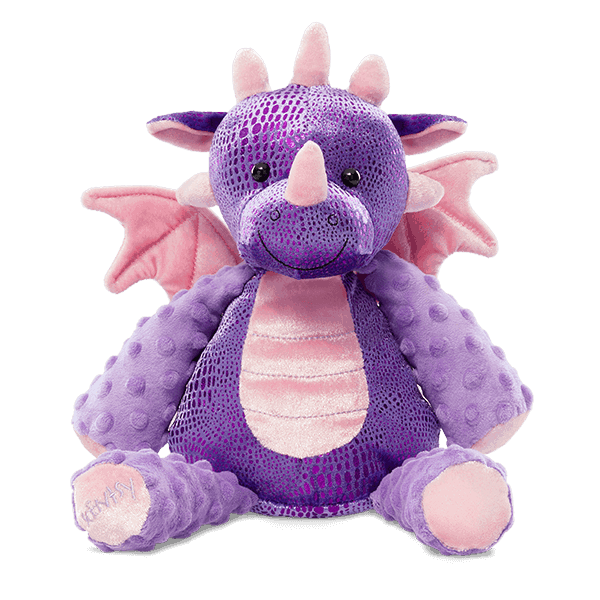 Scentsy Girl Dragon, Snap -Who’s ready to charm your heart? Snap the Dragon! She’s flying in from a magical castle to take you on a make-believe journey of fantasy and imagination. 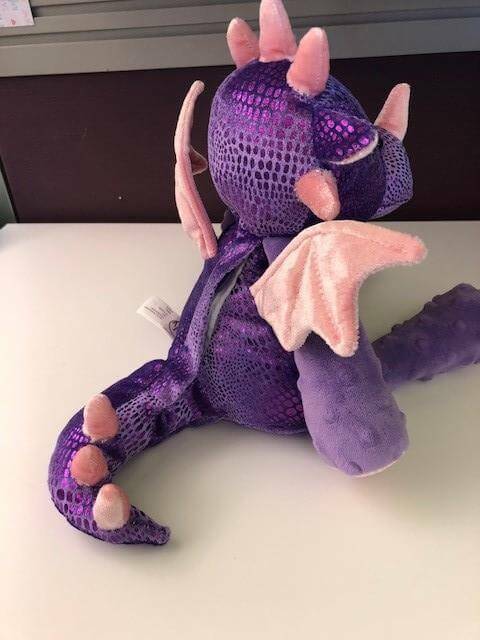 With her purple “scales” and pink wings, she’s far more friend than foe! New! Who’s ready to charm your heart? Snap the Dragon! She’s flying in from a magical castle to take you on a make-believe journey of fantasy and imagination. With her purple “scales” and pink wings, she’s far more friend than foe! Collectible and oh-so-cuddly! Snuggle up with a soft Scentsy Buddy — a loveable friend full of fragrance! Every Scentsy Buddy features a zippered pouch to hold your favorite fragrance and comes with the Scent Pak of your choice! Keep scrolling to get to know this Buddy. When she is sitting, it is 10 inches to the top of the horns. The tail is 6 inches straight- curled it’s 5 inches. 16 inches when standing straight up. Wingspan is 4 1/2 inches.